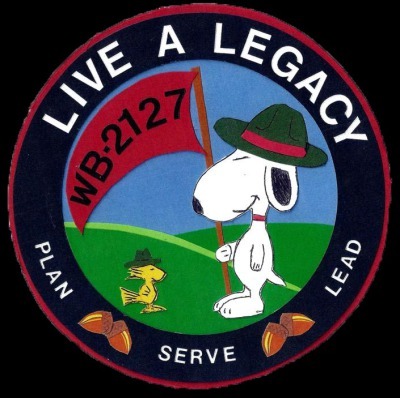 I would like to welcome each of you to Wood Badge 2127. Get ready to have some fun while having a wonderful Wood Badge experience. Along your journey you will learn leadership skills, develop a deeper understanding of Scouting Values, and foster new friendships in the Scouting Community. What is Wood Badge? Wood Badge is the premier training course for adult leaders. It provides participants with the practical tools to fulfill the aims and methods of the Scouting Program. The quality of the Scouting experience for Cub Scouts, Boy Scouts, Varsity Scouts, and Venturers depends on trained leaders – Adults who have given of their time and energy to promote the Scouting movement. The Boy Scouts of America has a vested interest in providing training to help its adult leaders. Basic and Specific training gives the necessary skills to work with the youth in each Scouting Unit. The next step in training is the Wood Badge Experience. You will grow as a leader, not only within your unit, but professionally and personally as well. Thank you for time in learning more about Wood Badge and for signing up for the Spring Course. As you know the practical phase of the course is covered over two 3-day weekends. April 8, 9 and 10th, 2016 and the second weekend dates are April 29, 30th and May 1, 2016. The cost is $200.00 early bird payment by February 8, 2016 and $225.00 after the February 8th registration date.